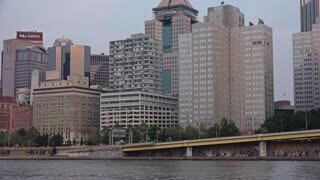 PITTSBURGH, PA - Circa September, 2015 - A zooming establishing shot of Pittsburgh on a late summer evening. 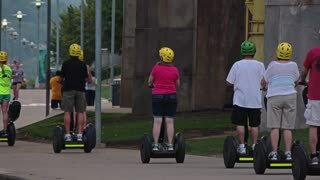 PITTSBURGH, PA - Circa September, 2015 - Tourists on Segways travel on Pittsburgh's North Shore on a late Summer evening. 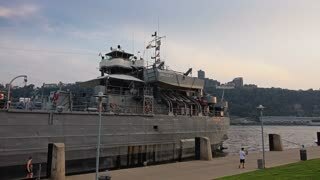 PITTSBURGH, PA - Circa September, 2015 - Tourists visit the LST 325 docked on Pittsburgh's North Shore for Labor Day holiday. 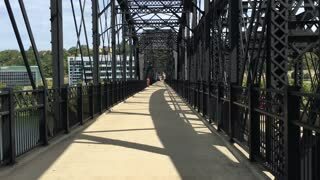 PITTSBURGH, PA - Circa September, 2015 - A rider's perspective of biking over the Hot Metal Street Bridge in Pittsburgh. 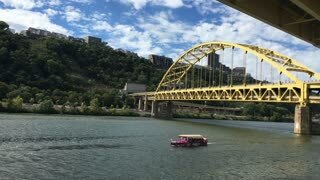 PITTSBURGH, PA - Circa September, 2015 - Two Ducky Tour Boat vehicles travel on the streets of Pittsburgh carrying tourists. 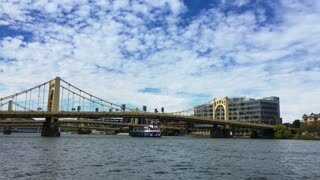 PITTSBURGH, PA - Circa September, 2015 - A Just Ducky Tour Boat carries passengers and tourists on the Monongahela River in Pittsburgh, PA.
PITTSBURGH, PA - Circa September, 2017 - A rear driving perspective on the streets at dusk with the Pittsburgh city skyline in the distance. 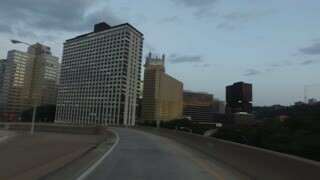 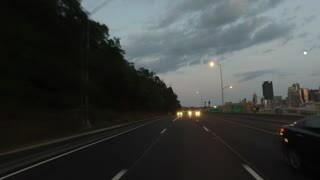 PITTSBURGH, PA - Circa September, 2017 - A three-quarter forward driving perspective past the businesses and storefronts in downtown Pittsburgh at dusk. 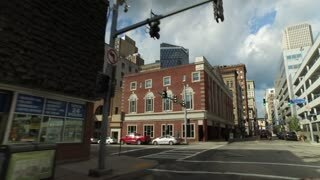 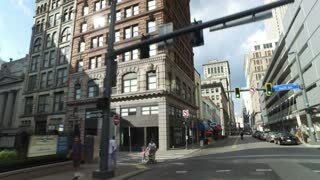 PITTSBURGH, PA - Circa September, 2017 - A three-quarter forward driving perspective past the businesses and storefronts in downtown Pittsburgh. 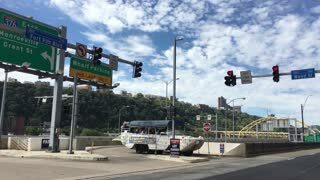 PITTSBURGH, PA - Circa September, 2017 - A rear driving perspective on the Fort Duquesne Bridge at dusk with the Pittsburgh city skyline in the distance.